Whether you know someone with a disability or are simply interested in learning more, the following information will help you learn something new about living with a disability, and help overcome misunderstandings and misinformation. Children develop skills, or "milestones," at their own pace. How is your child or grandchild doing? 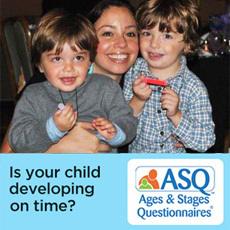 You only need 10-20 minutes to check with the Ages & Stages Questionnaires® online screening. Your results will help you see if your child's developmental progress is on time and alert you to any concerns that you can talk over with your health care provider. Nationwide, as many as 54 million Americans have a disability. Maybe your neighbor has an injury resulting from a motor vehicle accident, or your coworker has a child with cerebral palsy. Your grandmother may be recovering from stroke -- or maybe you are one of every five Americans with a disability. Look around you, and you'll find people of all abilities who are vital participants in their communities despite the barriers they may encounter. The barriers, physical or otherwise, people with disabilities face begin with people's attitudes -- attitudes often rooted in misinformation and misunderstanding. Easter Seals provides answers to help everyone create solutions that change lives... maybe even their own. Learn how to make your home safe and accessible for someone with a disability, or develop an emergency evacuation plan. Read helpful hints about meeting a friend who has a disability, and check out a list of books for kids! Know your rights under the Americans with Disabilities Act whether you're an employee or an employer. Ensure your safety and the safety of your colleagues with an emergency evacuation plan. Review disability etiquette and answer common questions about working with someone who has a disability. Learn more about specific disabilities including spina bifida and post-polio. Clarify misconceptions about people with disabilities and help remove attitudinal barriers. Solve public transportation challenges through Project ACTION resources. Planning a vacation? Don't forget to think ahead! 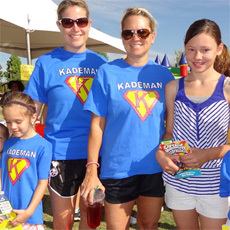 Plan for your child's financial future. Choose a service provider for your child or parent. Answer questions about raising your child with a disability. Find facts about Easter Seals, its history, mission, news, financials, brand imagery and more.